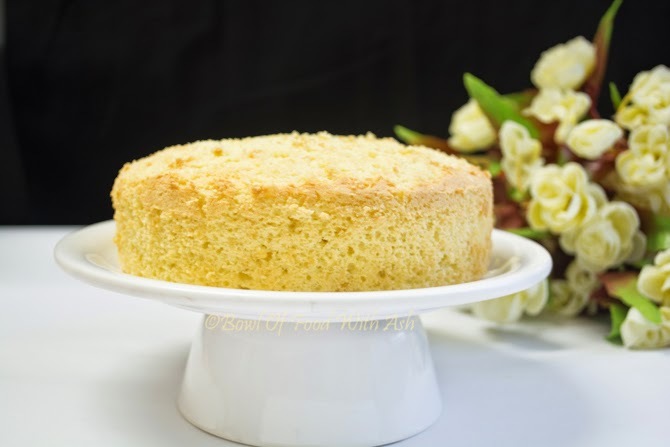 This is the Basic sponge cake, which is used in many recipes. This is made by beating egg till foamy,fluffy and folding in the flour. Here Folding in flour to egg mixture plays important role. It should not be mixed vigorously.If mixed vigorously, It will loose the air incorporated by beating eggs. Once you learn the technique ,no one can stop you :). This can be eaten plain and as well can be flavored with n number of icings. 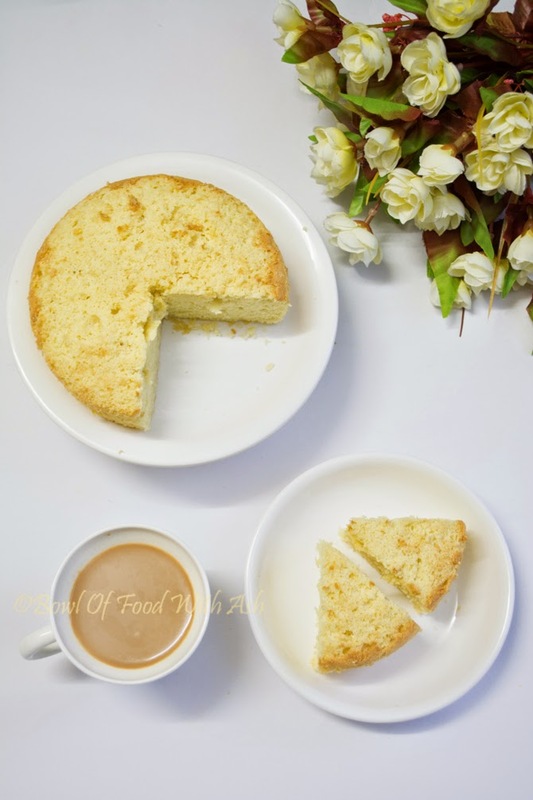 Lets learn to make this basic sponge cake.. 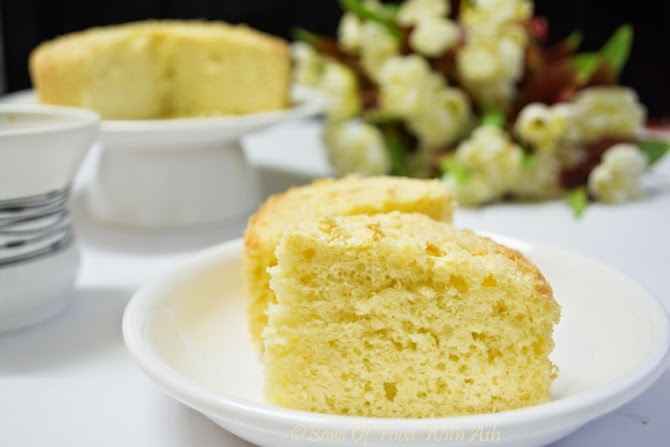 Basic sponge cake made by beating egg till foamy,fluffy and folding in the flour. 1.In a bowl sift the Flour,Baking powder.Keep aside. 2.Separate the egg yolks and whites in 2 separate mixing bowls. 3.Now beat the egg yolk with sugar and Vanilla essence till it becomes creamy.Keep aside. 4.Beat the egg whites using hand mixer till it becomes fluffy and form the stiff peaks. 5.Fold in the yolk mixture(step 3) to egg white gently. Do not mix. Fold in only one direction. 6.Now Fold in the Flour mixture(step 1) to this gently using spatula/whisk. Don't mix. Fold in only one direction. 7.Preheat the oven at 180 degree. I heat the microwave with convection mode for 8 minutes at 180 degree. 8.Grease the cake pan with oil and sprinkle flour . 9.Once all the Flour is folded put the batter into greased cake pan. 11.Keep checking after 20 minutes. Bake till toothpick inserted at centre of cake comes clean. 12.Cake is ready.Let it cool down. As soon as Flour is folded put the batter into greased Pan and bake it. What size pan did u use ? Hi Kiran, this goes with 8×2 inch round pan or 9×1 1/2 inch round pan. Hope this helps.